GUIDE TO BUY USED PARTS. Buying used parts to repair your car can be a practical and inexpensive solution in the Internet age. Some people prefer to buy used auto parts to save money. Others with older or less common models do so because it's the only way to get the part they need for their vehicles. And some other people buy used parts because they want to recycle and save the energy needed to manufacture new parts. Whatever the reason, buying used has become an easier option in the internet age than when you had to search in local junk yards. You can save lots of money buying used parts and accessories if you know what you are doing, but it can be a trap if you don't. Used parts in good condition can cost a fraction of what you would pay for a new one. 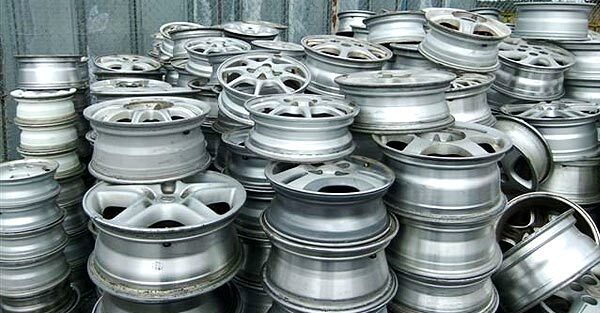 For example, the price of an aluminum wheel of 17" for a Ford Crown Victoria year 2006 at the dealership could cost between $300 and $350 dollars, but you can find it used for $100 or less. A new hood for a Honda Odyssey is $385, but a used one costs about $175. Buying a passenger seat for a Buick Le Sabre costs about $100, the Buick's official price is $379 just for the cushion. A potential risk is that you can be buying a piece that is worn-out and therefore it won't endure for so long. These tips below may help you to make the right choice. To get a base price for comparing, check how much it charges a distributor for the part. Having the VIN number of the car on hand also helps as it can help to find the original equipment part number. Be sure to ask if the piece you are buying meets the regulations of the manufacturer. The days when you could walk around a junkyard looking for the fuel cap of your car are almost finished. They have given way to recycling centers which remove, clean and package the parts for resale. Call by phone to see if recycling centers of local cars have the parts or accessories you need. Many recycling centers have their inventory on the network, and you can find new and used parts looking at those sites. Search using the make, model and year of the car you want to repair, as well as the part you want, for example, to find a radio for a Toyota Camry, use the query: "2002 Toyota Camry Radio" in the search box, or you can also use the part number if you have it. Check shipping costs, guarantees and return policies. You can find good prices on auction sites like eBay Motors, but usually those places do not have the number of pieces you can find in a specialized site. If you are considering buying from a private seller, find one that has an acceptable return policy. You will get the best savings when using parts you change yourself, which means that generally it can be removed and be easily replaced. This includes headlights, wheels, interior panels, mirrors, covered defenses and things like that. Rebuilt and aftermarket parts, such as gear, alternator or fuel pump can be a good option, certainly better than a part which is not fixed. But beware of some new and used parts with extremely cheap prices because they may be of poor quality. It is recommended to take advice from a qualified mechanic with experience if you have any questions. If you plan to have a mechanic installing the part, let him know in advance. If he knows you are willing to buy a used piece, maybe he can find a cheaper one. Keep in mind that if you take the part, the shop can not give you a warranty on the replacement. Beware of used mechanical components such as electric motors, compressors, pumps, brakes and other new and used parts that usually wear out a lot. Unprofessional repairs of structural parts or security systems may put lives at risk. Only qualified shops must replace safety-related new and used parts such as air bag components, seat belts or electronic sensors.